Canada has historically been a leading voice for international accountability. Mass violence and mass atrocities being committed in Syria, Ukraine, the Central African Republic and North Korea suggest that states are falling short of their obligations. Expectations are not being met. Canada can and should resuscitate its leadership on this front. This election's debates on Canada's role in the world have been refreshing for those of us concerned about Canada's foreign policy record. One crucial issue, however, has not been mentioned during the campaign: Canada's commitment to international justice. As Canadian scholars and practitioners committed to strengthening access to justice for victims and survivors of international crimes, we urge whichever party forms the next government to commit to making global justice a priority and to return Canada as a leading voice in the fight against impunity. Canada has historically been a leading voice for international accountability. Because of its efforts, as well as those of like-minded states, there is an increasing expectation around the world that the perpetration of international crimes will be met with efforts to achieve justice. Mass violence and mass atrocities being committed in Syria, Ukraine, the Central African Republic and North Korea suggest that states are falling short of their obligations. Expectations are not being met. Canada can and should resuscitate its leadership on this front. But the recent record is grim. Despite calls by dozens of states and the United Nations Secretary General, Canada was the last Western state to lend its support to a UN Security Council referral of the crisis in Syria to the International Criminal Court (ICC). The government has led calls to punish Palestinians with "consequences" for joining the ICC. In 2014, Canada was the only state party of the ICC to oppose the consensus on expanding the ICC's budget. We hope that the next government will take the opportunity to rescue Canada's impact and reputation on international justice. Changing Ottawa's tone and attitude towards international justice is the easiest and most obvious shift that a new government could make. But it is also the most important. A change in rhetoric could be spearheaded by a celebration of the remarkable role Canadians have played and are playing in shaping the project of international criminal justice. Louise Arbour was the chief prosecutor of the International Criminal Tribunals for the Former Yugoslavia and Rwanda, and remains amongst the most influential international legal minds in the world. Philippe Kirsch, a former ICC Judge, was the court's first-ever president, serving until 2009. Since 2012, James Stewart has been the Deputy Prosecutor of the ICC. In addition, Canada has spawned some of the leading practitioners in international courts the world over and played an indispensable role at the 1998 Rome Conference which established the ICC. The contributions of all of these figures should be openly and widely celebrated. The tone of the new government's rhetoric should be propelled by a desire to take pride in Canada's role in pushing the project of international justice forward. To walk the walk as well as talk the talk, Canada could appoint an International Justice Ambassador to take up the task of representing Canada's positions abroad on matters relating to international accountability. Here, Canada can look to the U.S. for inspiration. Since 1997, Washington has had an ambassador-at-large for war crimes Issues. The Canadian government could create a similar position, establishing a public, political and legal office to represent the country in international fora and to carry the baton of Canada's commitment to international justice. A new Canadian government could also seek to integrate support for the ICC into its bi- and multi-lateral diplomatic efforts. Historically, Canada has had a strong record of encouraging respect for human rights and the rule of law via diplomacy. In addition, a new government could organize an official visit by the Prime Minister to The Hague. Such a visit -- and the photo-ops that accompanied it -- would send a clear signal that international justice is relevant to the government and that Canada is committed to the principle of ending impunity. In 2005, the Canadian government generously donated $500,000 to the ICC's investigation of atrocities in Darfur. Besides endorsing growth for the court's budget so that the institution can meet the growing international demand for international justice, there are numerous ongoing ICC investigations behind which the government could throw its support. In ongoing conflicts characterized by widespread mass atrocities, Canada can do more than drop bombs -- it can also drop the gavel. While the court can't investigate Syria unless the United Nations Security Council refers the situation there to the ICC, Canada can take a lead-role in investigating the role of citizens of ICC member-states who have allegedly perpetrated international crimes. 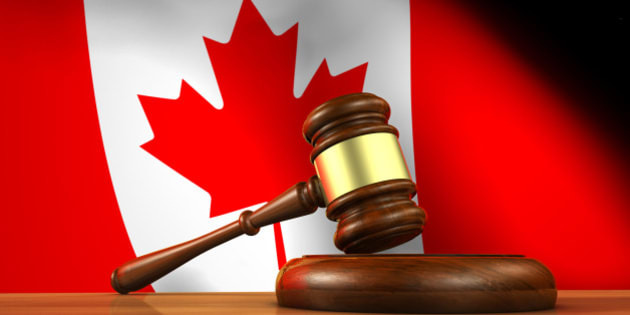 Armed with internationally renowned war crimes legislation and an inter-departmental war crimes program, Canada prides itself as being a leading prosecutor of war criminals. However, since 2000, we have only prosecuted two individuals linked to the Rwandan genocide, while expelling dozens of alleged war criminals back to their country of origin with no guarantee of facing justice there. Political parties should commit to increasing the budget dedicated to the War Crimes Program and, wherever possible, to achieving justice in Canada for international crimes and its victims. In the wake of this election, Canada will have a unique opportunity to reclaim its leading role in the field of international justice and accountability. After years of neglect, it is time for Canada to step up once again to the plate.